Filling forms for business reimbursement is painful. Biz or No alleviates this pain by removing the need for any forms. 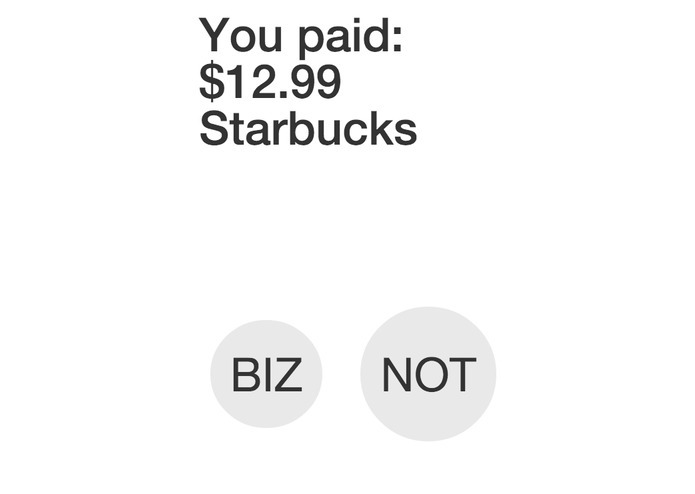 In our app, you link your payment methods (such as Master Card, PayPal, Email receipts) with your company’s expenditure system (e.g. 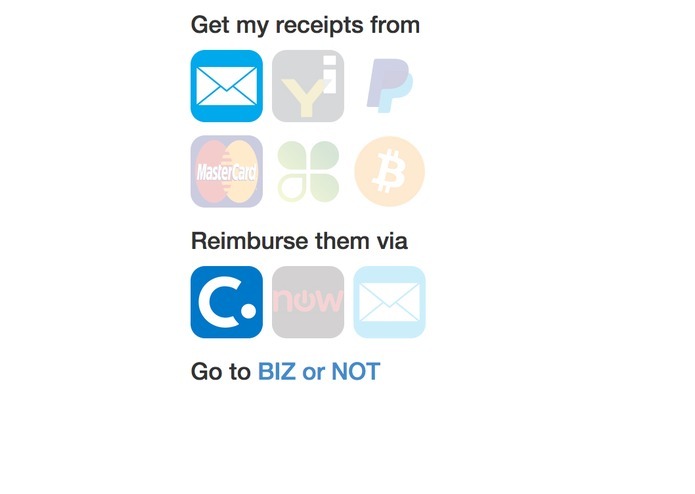 Concur) and we make the process of tagging business payments a breeze. 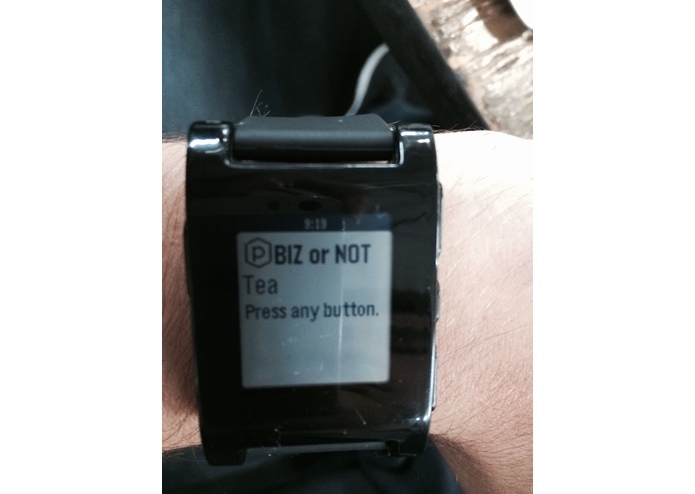 As soon as you make a payment on a business trip, you can expense it seamlessly: by answering one simple question through your mobile or even a pebble watch: biz or not?! Our solution is a cross-platform app/webapp/smartwatch/webserver!